Your fertility isn’t skin deep. It’s as simple as that. Just because you look like you’re 28 when you’re 42, doesn’t mean your ovaries are the same. Unlike men who don’t run out of sperm, it is totally normal and expected for every woman to run out of eggs by a certain age. The average age of menopause is 51 and it’s very difficult to get pregnant during the 10 years leading up to that age. Some of us are born with more eggs or run out at a slower rate but at the end of the day most women are not fertile in their 40’s. It’s unfair for women to be made to feel like there’s something wrong with them when they’re told they’re not fertile at the age of 40. Not many women are fertile in their 40’s. Empower yourself with knowledge about your fertility so you can learn more about your options. 1. There are tests you can do to find out more about your fertility. Your doctor can order an Anti Mullerian Hormone level (AMH) as a guide regarding how much battery you have in your biological clock. Cycle day 3 FSH and estradiol levels and an antral follicle count (ultrasound looking at your ovaries often done by a reproductive endocrinologist) can also be used clinically as a guide. 2. If your Mom or other female family members had fertility issues related to conditions like endometriosis or early menopause, you should strongly consider preserving your fertility and seeing a doctor to talk more about your options. 3. There are some medical conditions that require drug treatments that can be what we call “gonadotoxic” ie result in damage to eggs or sperm. Patients who are diagnosed with conditions like Lupus, blood disorders, and cancer are often put on chemotherapeutic drugs. Freezing eggs/sperm can give these patients a chance for pregnancy in the future after their treatment is over if they run out of eggs earlier because of the treatments. 4. Freezing eggs for future use is best in younger women because our eggs have a higher chance of being viable the younger we are. If you’re considering freezing your eggs in your late 30’s, you could still have a good chance for pregnancy. Speaking with a fertility specialist would be helpful before you decide to freeze your eggs. 5. 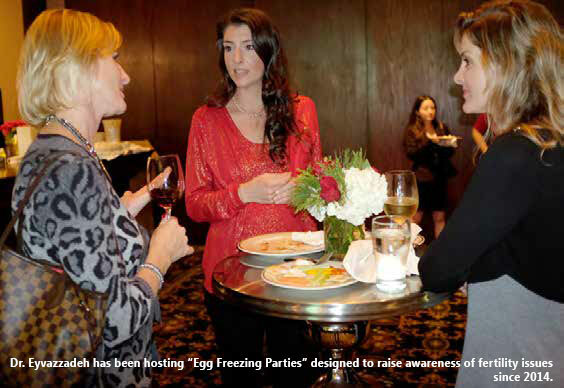 Egg freezing involves a surgical procedure. Women have to take selfadministered shots in the skin of their lower abdomen for about 10 days prior to the egg extraction procedure. To hear more about the process of IVF or egg freezing, please read Dr. Aimee’s next article. 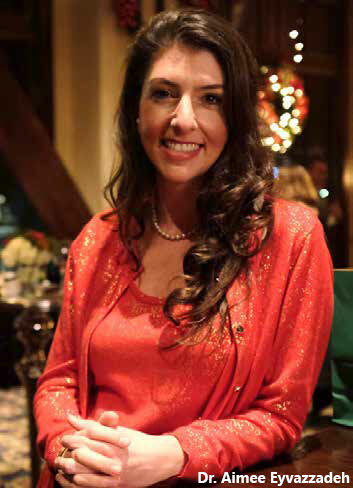 Dr. Aimee Eyvazzadeh is a native of the Bay Area. She is a graduate of UCLA School of Medicine. After completing her residency in Obstetrics & Gynecology at Beth Israel Deaconess Medical Center and Harvard Medical School, she completed a fellowship in Reproductive Endocrinology & Infertility at University of Michigan. She also completed a Masters in Public Health in Health Management and Policy at University of Michigan. She has a private practice in the SF Bay Area. Each day she hears story after story from women struggling to conceive. In her attempt to alleviate some of this heartbreak, she has gone on a mission of “fertility awareness”. Her hope is to empower women at an early age, making them more aware of their own personal fertility levels and allowing them to be better educated about their options. Never again does she want to hear “If I had known 10 years ago that my egg reserves were running low, I would have done things differently”.